With more than 30 years of both legal and business experience in the real estate industry, Robert possesses in-depth insight and hands-on knowledge into leasing, acquisitions and dispositions, joint venture structuring, financing and build-to-suit development. He has been recognized for his reputation among clients in the industry and by NJBIZ, which named him as one of the 50 most powerful and influential real estate business executives in New Jersey. In addition, Chambers USA has ranked Robert as a leading New Jersey real estate attorney for six consecutive years. 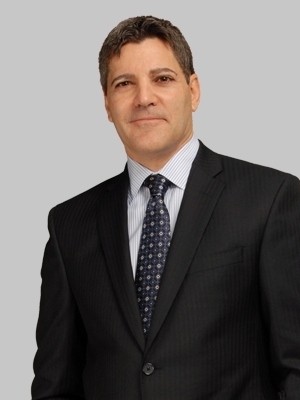 Throughout his career, Robert has represented clients in connection with a wide variety of office, industrial and retail transactions, including the leasing of more than 40 million square feet of space, the purchase and sale of more than $10 billion worth of properties, and the borrowing and lending for more than $10 billion worth of properties. Robert has also served as lead attorney in connection with seven NAIOP (Commercial Real Estate Development Association) “Deal of the Year” Awards. Beyond this scope of his legal practice, Robert spent several years immersed in the business side of real estate, acquiring and developing properties in urban areas. This insider’s perspective allows him to craft practical strategies and solutions that address the legal aspects of his clients’ real estate needs. Robert started his career at Shearman & Sterling and was previously a partner at Day Pitney, Thacher Proffitt & Wood and Drinker Biddle & Reath.